After age 30, teeth wear about 1 millimeter per decade. This change may progress at a slower rate and tends to go unnoticed. If your teeth seem thinner or shorter than they should be, it’s time to find out why. Night or day teeth-grinding abrades precious enamel, and some acidic foods and drinks can erode the mineralized surface. One thing’s certain: When enamel disappears, it doesn’t grow back. If the damage is already done, we can help you explore ways to restore your smile. Enamel soaks up dark pigments found in coffee, tea, wine, chocolate, and more. Professional whitening removes these embedded color compounds without damaging your teeth. Our quality gel lifts years from your smile’s appearance and provides a quick confidence boost. We only choose formulas designed for maximum effectiveness and safety. If you notice dark shadows between your front teeth, it’s time for a professional to take a look. Dark shadows often suggest a growing cavity, and they don’t usually hurt until they reach the deepest part of the tooth. Cavities develop as acid attacks enamel and break it down. Tooth-colored restorative products can repair your teeth, enhance their beauty, and preserve their function. Healthy gums look pink with a light orange-peel texture, and they don’t bleed. When harmful bacteria aren’t properly cleaned away, they provoke an inflammatory reaction from the immune system. The swelling and bleeding could indicate that you’re starting to lose the bone around your teeth. Our hygiene team has a personalized strategy to help you control gum disease. Straight teeth look pleasant to the eye and help your bite function the way it’s supposed to. Even small gaps become food traps, and crowded teeth are difficult to keep clean. Fortunately, invisible or wireless straightening options make orthodontics easier than ever. If you look at your smile and see one dark tooth, it needs an exam. A tooth that experienced trauma years ago may feel fine. But if it’s darker than the surrounding neighbors, it usually means that the nerve is dead with a low-grade infection in your jaw. 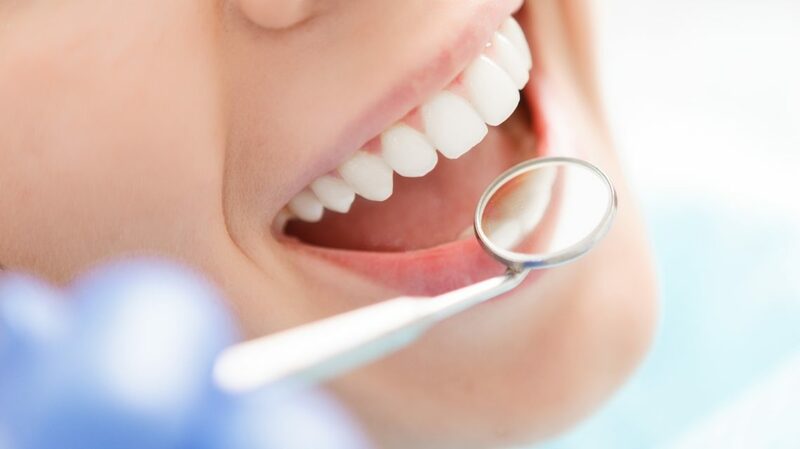 We can evaluate the tooth, eliminate the bacteria, and correct the color. This problem isn’t a visual one, but it does reflect something about the health of your smile. Gases produced by oral bacteria are responsible for most cases of bad breath, although other possible causes should be explored with your dentist or physician. Sometimes the odor comes from a mouth infection, such as gum disease or an abscessed tooth. If everything checks out, our hygienist can help you eliminate the odor with a few simple modifications to your daily routine. Dental health is all about feeling well and looking terrific. While most problems in our mouths develop slowly, they often reach a critical stage over time. If you see any of these clues or have other concerns, Evanoff Dental can help you protect your smile!